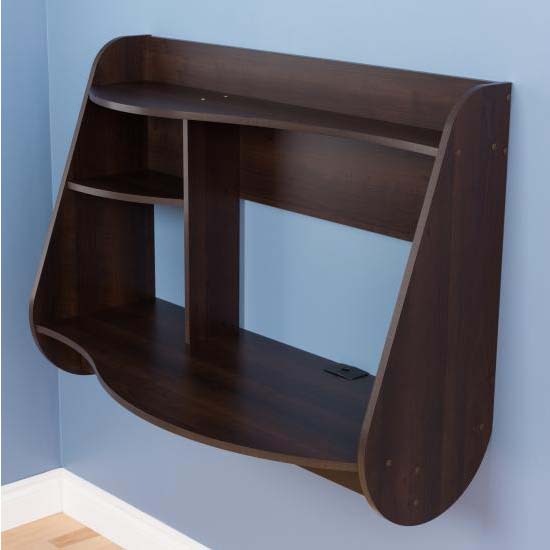 More on the Prepac Kurv Wall Mounted Floating Desk (Espresso) EEHW-0901-1 below. Soft contours and modern lines complement each other in the Kurv floating desk, making it a space-saving statement that will stand out in any room. The lightweight design makes assembly and installation a breeze. Kurv hangs directly on your wall with Prepacs innovative cleat system, saving you valuable floor space. The spacious side compartments are just the right size for your important binders, books or anything else you may need close at hand, with removable shelves to store taller items. Mount at any height with Prepacs innovative cleat system. 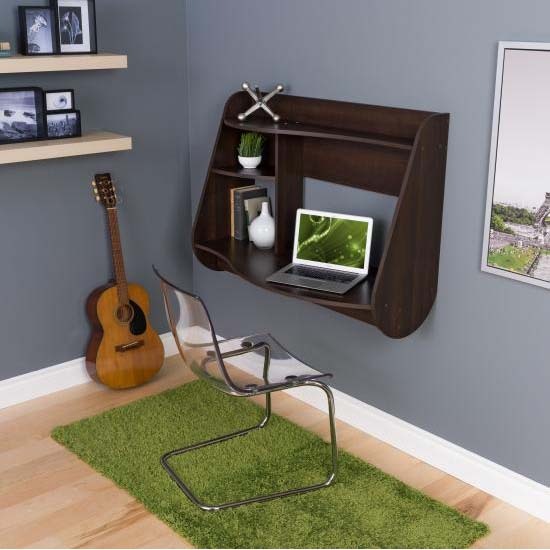 Spacious side compartments to store books, photographs and other personal items. Built in cable & wire management keeps your desktop clutter free. Rich espresso laminate complements existing décor. 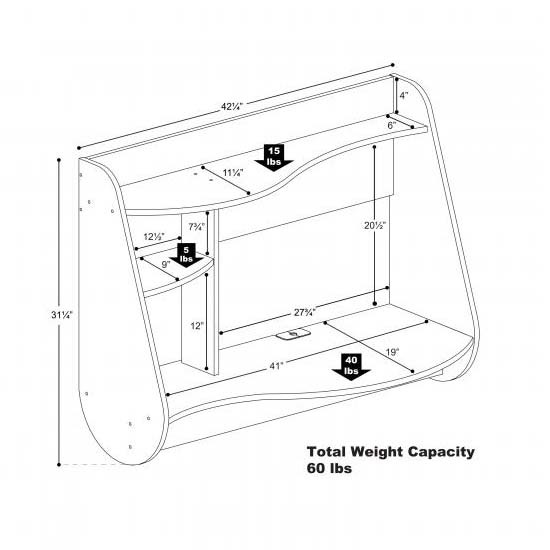 See "Related Products" below for the Kurv floating desk in white or black.